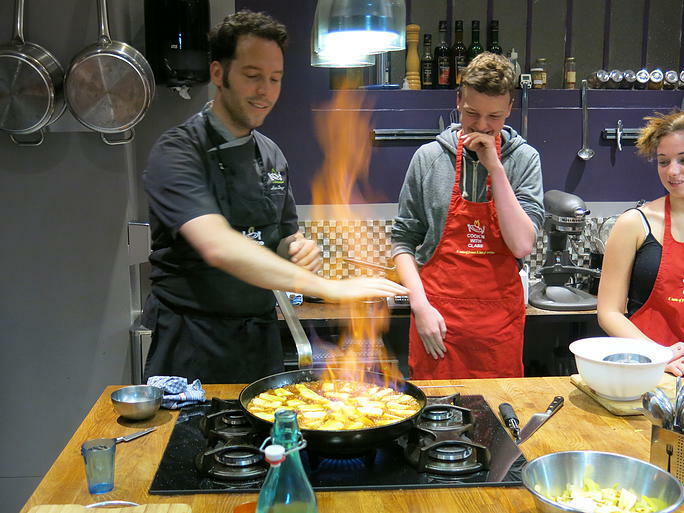 Cook'n With Class is a hidden gem within the fabulous city of Paris, for those looking to do something a little more creative and hands on, look no further. Originally opened in July 2007, Cook'n'With Class is a cooking school founded by legendary chef Eric Fraudeau. The unique concept teaches students of all levels the art of French cooking in stylish yet friendly surroundings. Each class is taught in English making it ideal for those travelling from London or the US, classes can be booked in advance and are taught in small groups making a fun and relaxed environment. In 2013, the cooking school moved to it's new home in the heart of Montmartre, the state of the art of space features two kitchens and is even complete with it's own Wine Cellar for classes and events. A firm favourite in France's dining scene in it's own right, Cook'n With Class has featured on national television and is often the first recommendation of many hotel concierges. A wealth of knowledge comes from the team of highly talented chefs who come from prestigious backgrounds such as London's Savoy and Paris' Le Bristol. A variety of classes run morning and evening at the school and range from making French Bistro to the delightful Macaroons the Parisians are so well known for. What's more, students get to take their creations home, just be sure to save some for us.